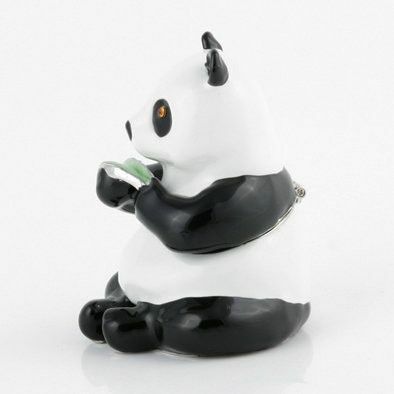 This charming little panda trinket box is encrusted with Austrian crystals, and decorated with fine silver plated trim. 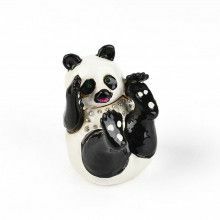 The trinket box was hand painted by a skilled artisan, and the crystals were also applied by hand, one-by-one, and individually inspected for quality. 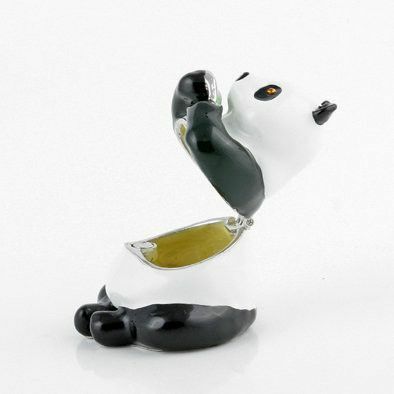 This panda bear trinket box opens and closes with a magnetic clasp. The clasp is great because it opens easily, but closes firmly. 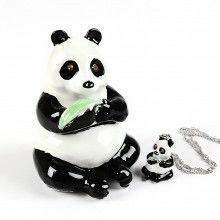 This panda box arrives complete with a gift box.